My youngest brother Trey and his son Patrick live in Hong Kong. Every summer they come to visit family in the United States. When Trey visits, I look forward to enjoying his cooking. 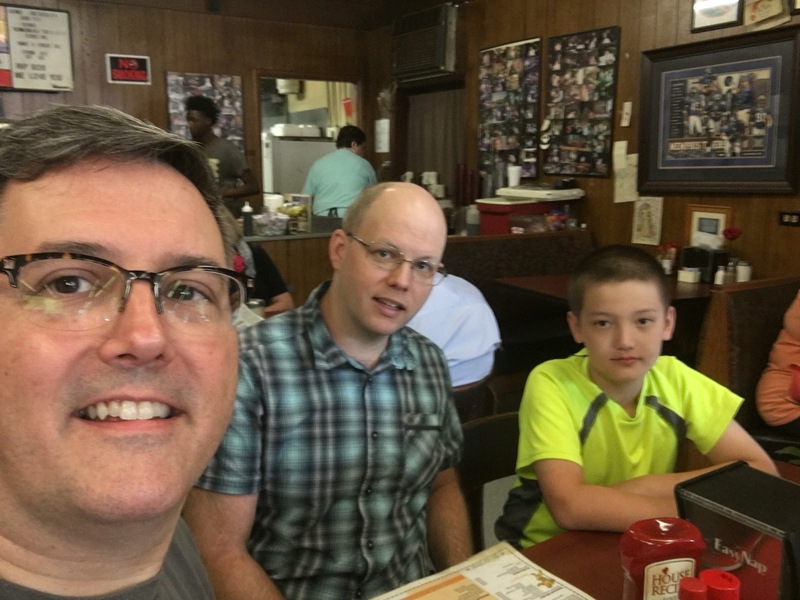 When in Memphis, my nephew Patrick insists on breakfast at the Barksdale Restaurant. 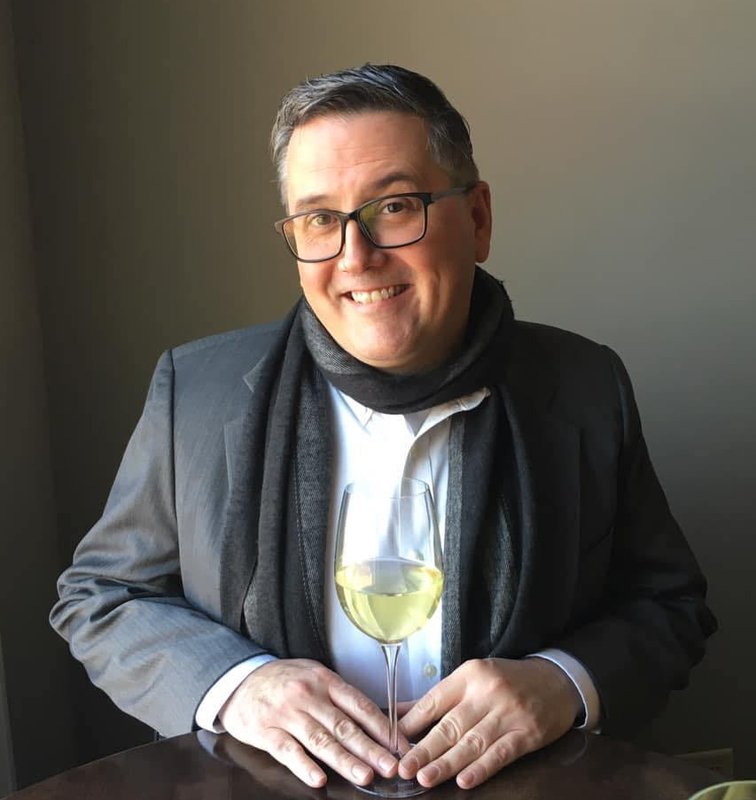 While living almost two decades in China, Trey learned to cook many dishes from various regions. 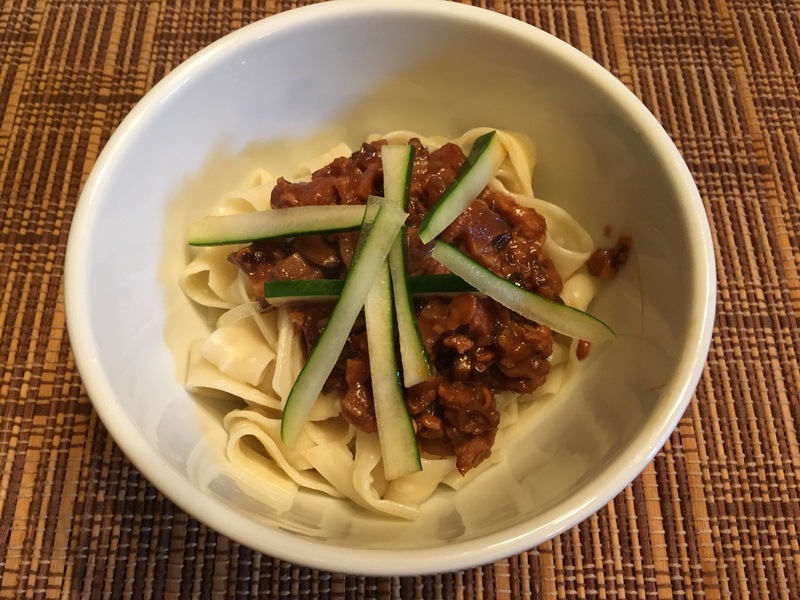 For my birthday this week, Trey made fried sauce noodles (zha jiang mian) – a delicious dish of pork, mushrooms, ginger, and garlic cooked in a fermented soybean sauce popular in Northern and Middle China. 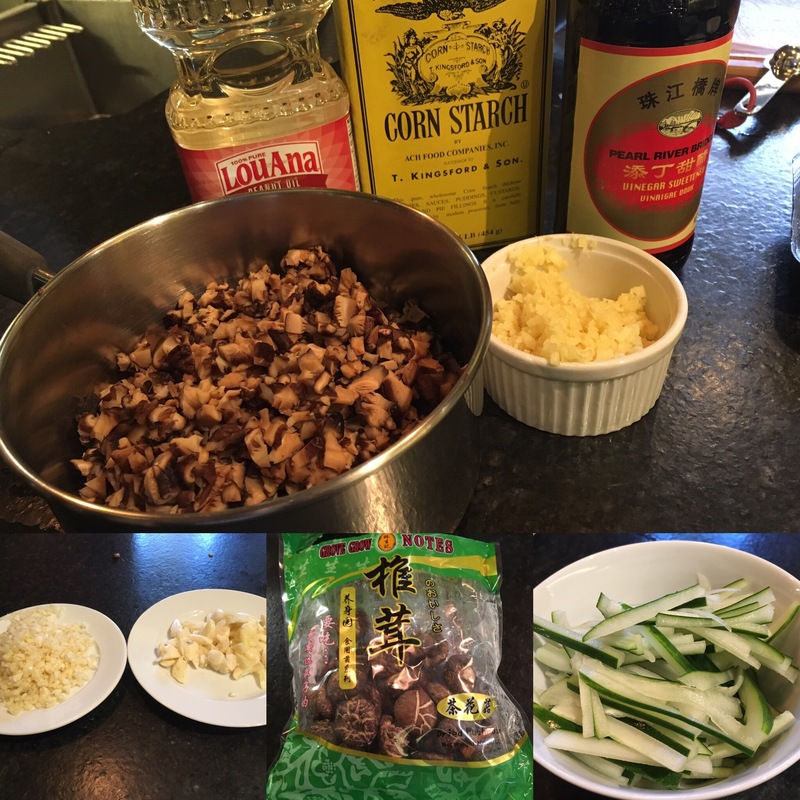 Trey stir-fried garlic and qing jaing cai (a green water plant like bok choy) and made a fresh chili oil to serve with the zha jiang mian. Paul opened a well-matched bottle of Riesling to serve with dinner, but beer also pairs well with this dish. Leftover meat sauce improves in flavor in the refrigerator for up to three days for a future meal, but you’ll want to cook fresh noodles for the reheated sauce. Trey bought all the ingredients from the Viet Hoa Market on Cleveland Avenue in Crosstown Memphis. I took notes for my Memphis readers so that we can all enjoy this savory delight. Boil a kettle of water and pour over dried mushrooms in a ceramic bowl. Cover and let steep for at least 2 hours. Stir rice wine into chopped pork until thoroughly mixed. Then stir in corn starch (and white pepper if using) until thoroughly mixed. Allow the pork to marinate for at least 30 minutes (even better overnight). 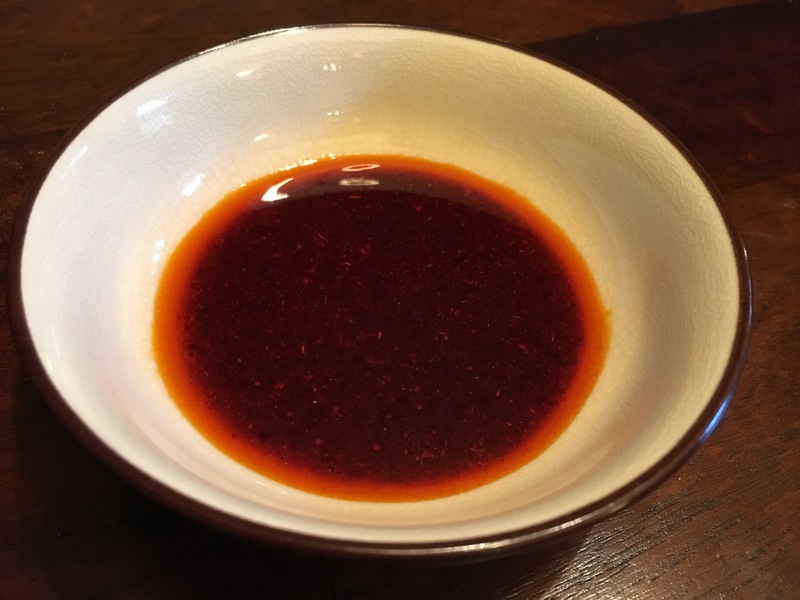 Combine soybean sauce, hoisin sauce and dark soy sauce into a medium bowl. Stir thoroughly and set aside. Bring 1 tbsp of peanut oil to high heat in wok. Add pork. Stir and and cook until pork begins to golden. Add ginger and garlic. Stir and cook for 2-3 minutes. Add drained mushrooms, stir and cook for about 2-3 minutes. Thoroughly stir bean sauce mixture into meat for a minute. Add 4 cups of water. Cover wok and bring mixture to a boil. Lower heat to a simmer and partially cover the wok to allow the watery sauce to be absorbed by the mushrooms for 15-20 minutes. Bring large pot of water to a boil for the pasta. Remove cover over meat mixture and continue to simmer for at least 20 minutes. Allow water to absorb and evaporate until the mixture becomes a chili-like consistency. Add noodles to water and boil for 6 minutes or according to package directions. Drain noodles. Distribute portions into eight deep bowls. Add half cup of meat sauce to noodles. Garnish with cucumbers and chili oil to taste. 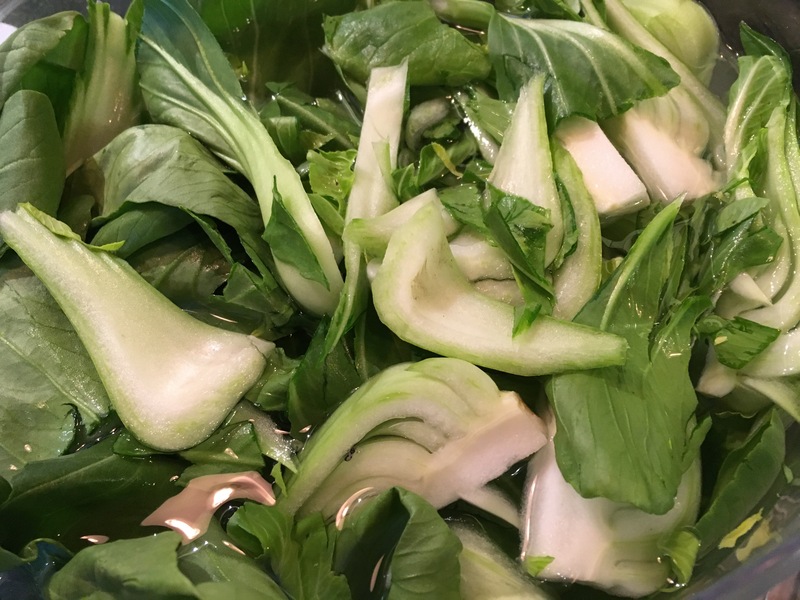 Soak qing jaing cai or bok choy in cold water for at least five minutes. Drain. Repeat and drain. Heat oil on high in wok. Stir garlic into oil and toss until garlic begins to turn golden. Add qing jaing cai. Stir fry for 5-7 minutes on high heat. 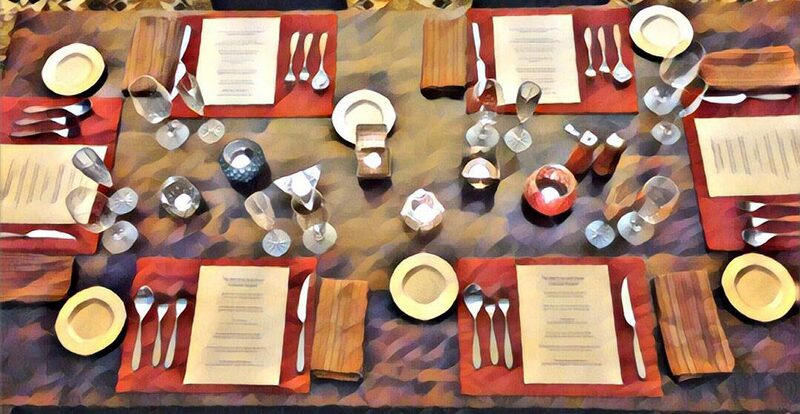 Serve in large flat bowl at center of table. Combine all ingredients into a sealable jar and stir thoroughly. Allow to sit for at least 30 minutes before using. Store the oil for up to six months in the refrigerator.